On the 25th floor of 5 Hanover Square in New York City, no one is answering the phones. These offices house Digital First Media, which has cast its broad net over 800 “multi-platform” media products that, the man’s voice on the message machine insists, reach 57 million Americans each month. Even so, no one appears to be home. One of these 800 products is The Salt Lake Tribune and, like Digital First Media, the Tribune has seen better days. In the past two years, in groups of varying size—five one month, nine another, four the next year, 19 at one time and, most recently, eight—Tribune employees have gone missing. They rise from their desks, walk to an editor’s office and never return to the newsroom. “People would just vanish,” says one laid-off Tribune reporter. Layoffs at the 143-year-old newspaper have been so common in recent years that it dominates lunchroom banter, the former reporter says, and no one seems safe. Seasoned veterans with decades of experience have been let go. So have fresh faces, whose names and bylines were barely learned before they were shown the door. “It was like The Twilight Zone. People would just be gone,” says the former reporter, who asked to remain anonymous; laid-off employees had to sign non-disparagement agreements in order to receive their severance packages. here for a full list of those laid off from the Tribune. It is hard to lay blame for newspaper layoffs in any one place. 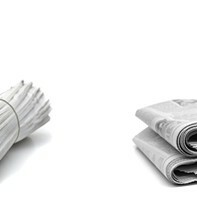 The economics of the paper & ink news business have been splintering for nearly a decade. But the economic challenges at the Tribune don’t stem from troubled balance sheets alone. And no one in Salt Lake City, or even Utah, is at the controls, making tough calls while simultaneously cultivating a healthy future for the newspaper. No, Digital First and its CEO, John Paton, are calling the shots at the Tribune. And Paton answers to a New York City hedge fund, Alden Global Capital, which specializes in making money. Those rallying behind the Tribune say that making quick cash was the main motivation behind a fall 2013 business deal between the hedge fund and the LDS Church-owned Deseret News. Along with hawking its share in the printing press, Digital First was paid an undisclosed amount for handing over 70 percent of the two papers’ print-advertising profits to the Deseret News. No one involved in the day-to-day management of the Tribune was party to these negotiations. Digital First and Deseret News executives have said the new deal is in the best interest of both parties and by no means was meant to weaken the Tribune. But weaken the Tribune it did. Critics of the deal say it will, at the very least, whittle the Tribune into a skeleton of a newspaper. And worse, some fear, the deal could bury the Tribune, despite its dominant readership and distribution. Though the distribution gap has narrowed in recent years, the church’s paper has never been as widely read or distributed as the Tribune. In 2012, the Tribune’s daily circulation was 106,619 to the Deseret News’ 75,750, according to figures from the Alliance for Audited Media. But since 1952, the two papers have been tied together through a Joint Operating Agreement (JOA), which combined the papers’ advertising and distribution operations into one entity, known today as MediaOne. Before the deal was revised in 2013, the Deseret News received less than half of the combined profits—42 percent. The split was widely regarded as favorable to the Deseret News, since, as the smaller player, it was actually receiving a considerable cut of the profits generated by the Tribune. The new JOA more than turns the tables. Critics say that the lopsided arrangement would be less than appealing to the kind of private buyers who’ve purchased newspapers in other cities. And even if someone wanted to take that risk, a clause in the JOA requires that the Deseret News approve any sale. 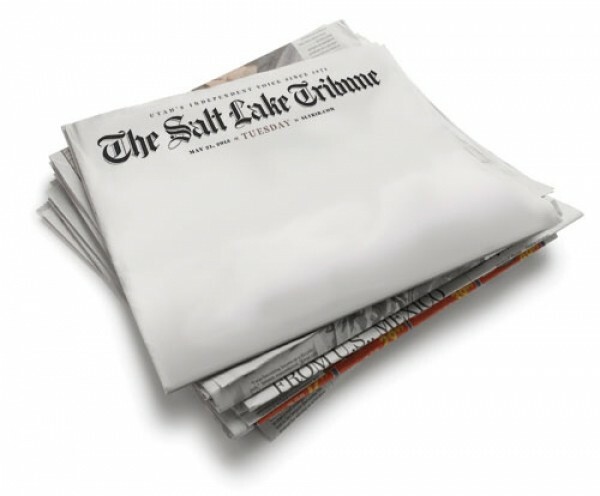 Tribune supporters say that the Deseret News, which itself attempted to buy the competing daily paper in the early 2000s, nixed a 2013 effort by Jon Huntsman Sr. and former Tribune owner Dean Singleton to buy the Tribune. These blows to the Tribune, supporters say, are more than just unfortunate business deals. A group called the Utah Newspaper Project says the JOA violates federal antitrust laws and has petitioned the U.S. Department of Justice to take a look. But the investigation’s timeline and outcome are unknown variables. In the meantime, Utah’s largest newspaper, left to flounder with 30 percent of the print profits, could quickly crumble, leaving the state with just one daily newspaper, owned and operated by its most powerful—economically, politically and culturally—entity: The Church of Jesus Christ of Latter-day Saints. And many vocal critics of the deal speculate that that’s exactly the plan. 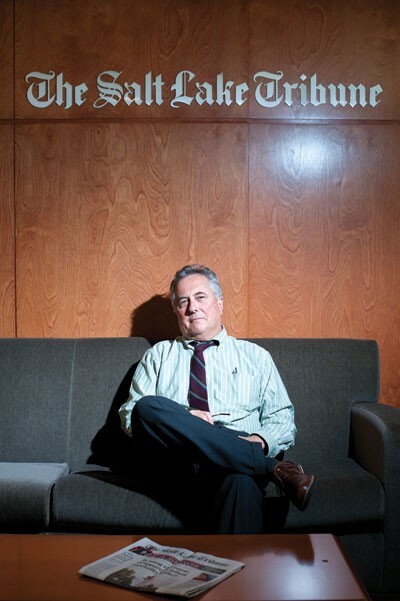 Current Tribune Editor and Publisher Terry Orme began his career at the paper in 1977 as a copy boy. Copy boys were the Internet cables before there were Internet cables, moving pieces of paper from reporters to editors and on to more editors, and finally to the typesetters. “On a good day, they might let you take a story—take dictation over the phone—and you might go out and get sandwiches for people,” Orme says. Orme wasn’t a copy boy for long. He became a features writer and arts writer and covered film for a decade before becoming assistant managing editor. In this post, he oversaw coverage of the 2002 Winter Olympics. He then rose to the position of managing editor before taking the top job Oct. 1, 2013, replacing Nancy Conway, who retired after learning Digital First would be mandating deep staff cuts at the Tribune. With 19 employees walking out the door with pink slips, Orme took the reins at one of the rockiest times in the paper’s history. And things soon got worse. “That note certainly got everyone going,” Orme says. Neither Orme, nor Conway, had been aware that the business side of the Tribune was about to be drastically altered. Orme says he doesn’t even know in what city the negotiations took place. Along with dissolving the Tribune’s interest in the printing press and shifting the profits, the new JOA, consecrated Oct. 18, gives the Deseret News a three-to-two majority on the board that runs MediaOne. It also requires that the Deseret News approve any sale of the Tribune, a clause that has been characterized as nothing short of veto power. For the presses, the profits and the majority stake on the board, an undisclosed amount of cash changed hands. Orme declined to discuss this sum, but says the deal was one large package, meaning there wasn’t a particular price put on the Tribune’s projected future advertising revenue, and another for the presses. This leap away from printing presses is consistent with Digital First CEO John Paton’s business philosophy, Orme says. But with print still making up a majority of newspapers’ revenues, Conway wonders if print simply hasn’t died as quickly as newspaper owners thought it would. No one, least of all serious newspaper editors and publishers, believe they can simply rest on the laurels of proud print products to survive. But an awkward truth in this world is that the revenues derived from printing a newspaper are still massive compared to Internet money. Paton, who didn’t respond to multiple phone calls and e-mails seeking comment for this story, keeps a personal blog in which he doesn’t hide his distaste for legacy products and assets, which include the Tribune’s newspaper and printing presses. Heading this project was Steve Buttry, Digital First’s transformation editor and the only person from Digital First who responded to requests for an interview. “You can’t react timidly to that sort of a loss to your primary revenue stream,” Buttry says, adding that he doesn’t feel Digital First’s handling of the newspaper revenue quandary has been too aggressive. But going all-in on digital hasn’t paid off for Digital First. In April, Paton announced the shuttering of Project Thunderdome, a newsroom with 50-plus employees in New York. Created three years ago, Thunderdome aimed to create national stories on a variety of topics for its smaller papers across the country. In addition to closing Thunderdome and laying off many of those employees, Digital First asked its army of newspapers to lop 10 percent from operating budgets. This led Orme to lay off eight employees. In addition, the Tribune ceased publication of its Faith section, which debuted in 1992 and was widely praised. In a story for the Nieman Journalism Lab at Harvard University, media critic Ken Doctor wrote that with the closure of Thunderdome, Alden Global Capital is most surely readying its vast newspaper assets for auction. And even Buttry, the man in charge of helping Digital First’s newsrooms “move further, farther and faster down the digital path,” as he says it, received a pink slip just before speaking with City Weekly.